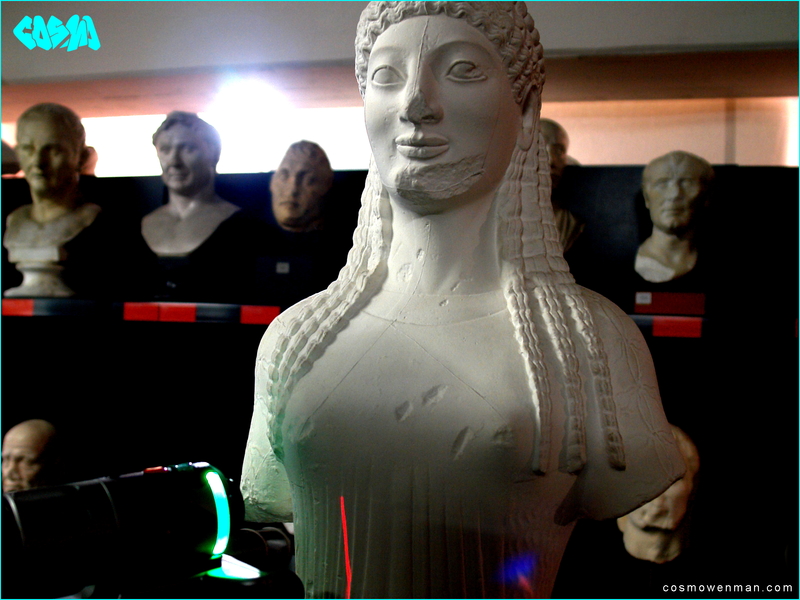 This is my 3D scan of the Skulpturhalle Basel’s late 19th-century plaster cast of the Athens Acropolis Museum’s Kore 678. 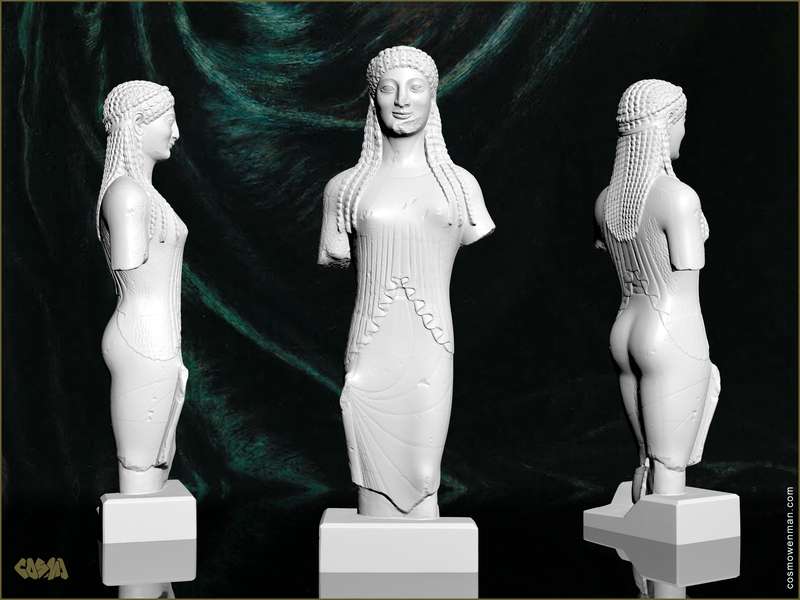 The 6th-century BC marble figure was found west of the Erechtheion in 1886. The thin raised lines that trace the figure’s contours are remnants from the 19th-century piece-mold technique used to make the plaster cast. These parting lines were not considered defects, and expert mold-makers would leave them intact, thereby leaving a record of their work. Unlike the bulkier dress of most korai, Kore 678’s clothing is impossibly close-fitting, revealing an idealized female form beneath. This entry was posted in 3D Scanning, Through A Scanner Skulpturhalle, Uncategorized. Bookmark the permalink.